To pitch your services, you need to prepare to show a client what you’ve got to offer. Nothing does that better than sample articles published online. The more reputable the site on which they’re published, the better. Focus on articles written in the niches you want to write about. If you’re planning to approach clients about business development, write articles about business development. If you’re a science writer, narrow down your focus to the specific scientific topics you hope to cover, then publish pieces that highlight your interest and expertise in that field. Once you’ve written a relevant piece, polish it until it sparkles. It should have no spelling or grammar errors, a consistent tone, and be sourced appropriately. Remember that you’re going to get a client partially on the merits of this piece. Make sure it’s your best work. There are a few different ways to publish a sample piece. Ideally, you’d find a site that accepts submissions and has a great reputation, then publish there. Many sites offer submission guidelines or a person to contact if you’re interested in submitting work. If you can’t do that, though, look for guest blogging opportunities or publish pieces on your own website or blog. Always keep links to your sample pieces handy, because you’ll use them again and again when pitching. 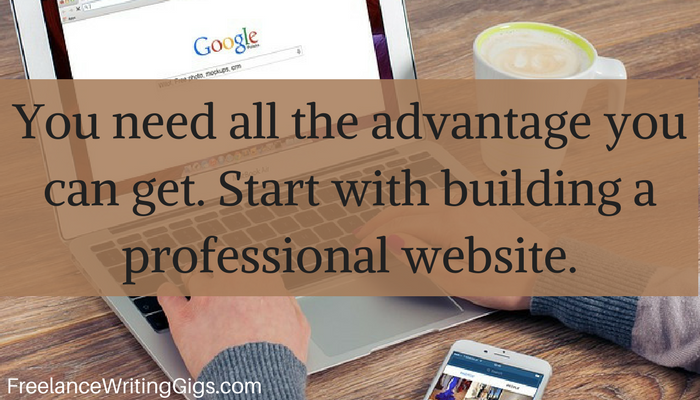 One way to set yourself apart from other freelancers is to have a polished, professional website. You can build one up for very little money by finding a host and putting up your contact information, samples of your work, and any relevant experience you have. Links to your social profiles may also provide evidence of who you are and your expertise. For example, clients may want to research you on LinkedIn or look at what you’re saying on Twitter. Only include these if they’re professional, though. Pictures from college parties won’t engender confidence. If you’re emailing your pitch to a client, you can include your website in the signature of your email. Every client needs something different. Even customers in the same niche have different approaches to the same topics. When applying for writing jobs online, identifying the tone and topic of the desired content can give you an idea of how to approach the client. For example, a casual website that publishes writing about crafts might appreciate a more relaxed tone and an idea of what you do in your free time – because if you work on crafts, it applies. A business website may only want to know your education, experience, and samples in a more formal tone. Make sure to also take note of what the client wants done. Choosing samples that mirror the subject area and tone can help the potential client evaluate whether you’re the right writer for the job. It also helps you stand out from people with off-topic samples. How to create pitches that are effective? Personalization is key. 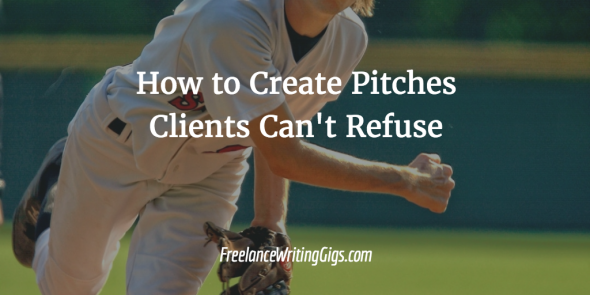 As every client is different, so should every pitch be personalized. Your pitch is often the first point of contact a client has for you, so it functions as your first impression on that client. Make sure it’s well-written, addressed properly, and that it touches on the specific needs of that client. There are a few elements that make up a great pitch and you can choose to include them or omit them as necessary, depending on the project and situation. This is especially important if it’s a new client. Introduce yourself and explain where you heard about them, their company, or the assignment you’re pitching about. Address the pitch to the right person. Having a name goes a long way because everyone is inundated with email that isn’t personalized. If there’s a specific person to address it to in the post you’re pitching about, make sure to call them by name in the greeting. Keep it professional – until you develop a relationship with them, Ms. or Mr. is best if the person’s last name is available, unless the listing says to address your pitch to someone’s first name. Your writing and topic experience are paramount. Include a brief summation of both in the pitch. Remember that you are trying to get and keep the person’s attention – and keeping it brief is best. Highlighting information relevant to the specific pitch is the best way to do so. Shy away from accomplishments that won’t make a difference to the client, unless you can think of a way that it might be related to the work they’re hiring for. Certain things can set your pitch apart from those of other writers. Confidence in yourself, an indication that you understand their objectives, and following the instructions when answering a client go a long way. 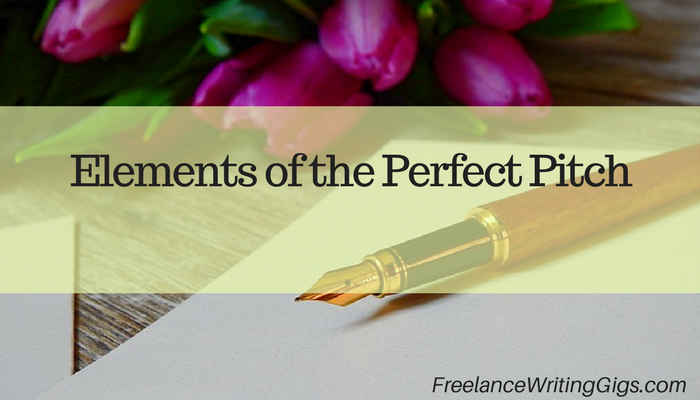 When you’re pitching your freelance writing services, these things are essential. Show confidence in yourself. Don’t say that you think you’ll do a great job – explain that you will do a great job and will provide quality writing for them. Weak statements about yourself come across as less assured than confident ones. They’re less appealing to potential clients. Think highly of yourself, your experience, and your achievements and let that show in your pitch. Don’t just indicate that you’ll do a good job. Show the client how you can do a good job. If you’re great at crafting compelling calls-to-action, let them know – as long as what you say is supported by your portfolio. If you have specific experience that makes you a good fit for the assignment, draw attention to that experience and show how it qualifies you. Specifics go a long way toward setting your pitch apart from other pitches. Always follow the client’s instructions in your pitch. If they request a certain number of samples, make sure to include that number. Use the subject line they request. Include any information about your experience that they ask for. Doing so shows that you paid attention to their post and can be trusted with the details of their job. A surprising number of people fail to follow instructions in basic tasks – don’t be one of them. Crafting the perfect pitch is about more than just sending a list of your experience. It’s about presenting yourself and your writing as the best option for a client who may be flooded with offers. Be confident, follow instructions, and always put your best foot forward as you present yourself to potential clients and start to build relationships with them.